Lifestyles are extremely diverse because views on life and values differ with each individual, and manners and customs differ with each country. In the face of rapid lifestyle changes, the product development of packed food is full of struggles; new items are being developed one after another and their packaging requires ingenuity. While people are rather conservative with respect to food and eating, new tastes and cooking methods have been filtering into their lives. To fully respond to these changes, packaging has been given new twists. Packaging is closely associated with the lifestyles of the time and country and, reflecting lifestyles, undergoes changes. Although packages shall be sensitive to lifestyle changes, due consideration is required for how to respond to value diversification and rapid changes. Just like the shape, size, weight and production quantity of packages are required to respond to lifestyle changes, filling and packaging machines are required to respond to package diversification. At Interpack 2014, a trade fair held in Germany, Bosch Packaging Technology and other machinery manufacturers are trying to respond to the changes at hand and to create changes. The main sales target is shifting from South-East Asia to India and the Middle East. The strategy of manufacturers is clear; they will sell ready-made machines and also work on planning/design of packaging lines tailored to client desires. The manufacturers intend to follow-up changes and move a step ahead of the market. Interpack 2014 is a place where we can seize the needs and seeds of the packaging industry to respond to the lifestyle changes in the world. To respond to the changing market as soon as possible, a new filling and packaging machine has become available that can easily switch the packaging mode within minutes from household use to on-the-go use, which is also called the incremental mode. Japanese manufacturers also have addressed similar technology development, focusing on switching within minutes in a seamless manner. Moreover, to avoid presenting customers with defects, inspection equipment has advanced. Training centers are placed so that operators can master filling/packaging machines, creating a high-performance packaging system. The machinery industry is also working to respond to lifestyle changes. As seen above, in response to lifestyle changes, the design and function of packages as well as the filling/packaging machines have changed. Our rich and busy lives have resulted in an increased amount of wasted edible food without our realizing it. Concerned about this waste, active campaigns to reduce food loss have been on the way under the Save Food initiative. 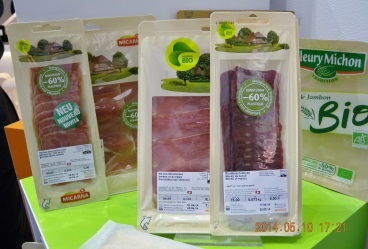 At interpack 2014, a Save Food conference was held and had many entries; packaging companies presented and displayed ideas and products for saving food. While offering convenience has become more and more important along with lifestyle changes, useless waste of packed foods must be reduced. In the conventional supply chain of foods, only packages convenient for selling and using have been sought. More weight should be attached to investigating to improve storage stability at home and to develop packed foods to be used up. Investigating packages that can contribute to saving food is progressing. Food comes in many packages; major examples and their trends are seen below. In addition, microwave cooking foods combined with freshness-keeping techniques such as Variable Heating Steaming have been proposed. 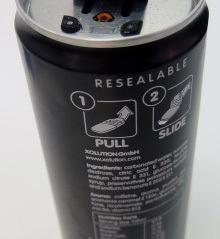 Aluminum cans, in the form of bottle cans, can be recapped, enabling soda and juice cans to be reclosable, portable and convenient for temporary storage. It seems best suited for an on-the-go lifestyle. A European company has put a zipper to practical use that can be resealed more easily than traditional zippers, which is one answer to the need for more convenient and reliable reclosability. 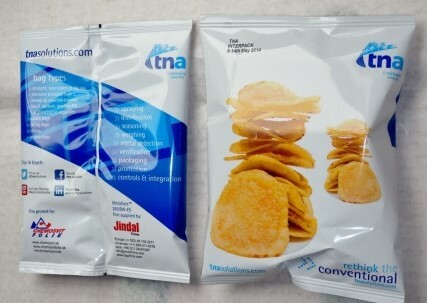 Pouches undergo changes with those in lifestyle, packaging material and packaging/filling machines. 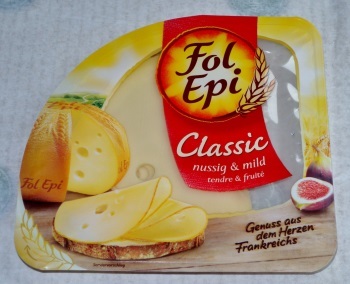 Moreover, the antifog additives of packaging material are shifting from “kneading into resin” to “coating”. According to “Family Life seen in Household Accounts” by the Statistics Bureau of Ministry of Internal Affairs, the expenditure for cooked meals and eating-out in 2010 has almost doubled since 1965, resulting in an increase of packed MREs (meals ready to eat) and packages for industrial use. 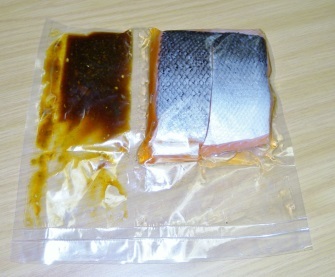 In convenience stores, boiled or retort foods in stand up pouches have increased. Among MREs sold in department stores, those with long shelf lives will increase. Enhanced dependency of foods and meals on the outside will require ingenuity in packages in many aspects, such as suitability for take-out, ease of use and keeping-, rewarming- and on-the-table properties. Since the demand for nursing care diets has increased, the development of easy-to-use packages for care givers is also hoped for. The surfaces of packages, interfacing with IT, play an important role in providing information. With lifestyle changes, food packaging will require, in addition to technical advancement, more attention attached to emotional aspects. We are waiting for catchy, warming and delightful packages that arouse consumer interest and help them to avoid errors that make them feel bad . The design packaging process where judgment is always based on cost by looking for less expensive materials and systems is important. However, in order to respond to globalization, another design attitude is also necessary to aim for sustainable packaging that considers global resource conservation and appeals to consumer conscience and emotion. In addition to pursuing packaging material functions and user-friendliness, considering human needs for food safety and security will be as important as ever. Response to sustainable packaging is steadily increasing. Consumers who prefer and purchase such packed products are also gradually increasing. The use of polymer as well as traditional paper and pulp will be promoted. New packaging material such as moldable paper trays and laminated paper/biopolymer will also penetrate the market by little and little. (Photo 8) Views on life and senses of value influence buying behavior. Indicating food additives and origin and expiration dates greatly influences purchases. In response, packaging technology has evolved and techniques calling-for-attention have progressed. 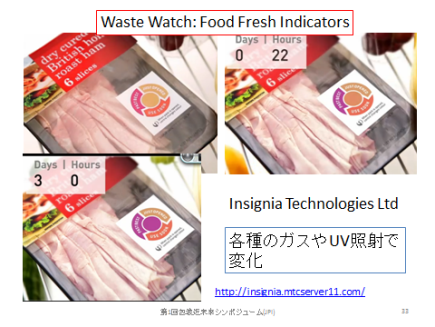 For example, when a packed food is stale, the bar code will become unreadable at the checkout counter; the food fresh indicator color will change during storage (Photo 9); and the color will change according to the inside gas level detected by sensor. 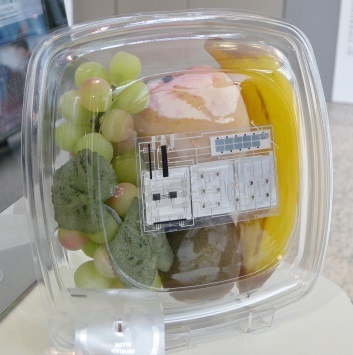 Packages that can store food for 5 years have already been put to practical use. The FDA emphasizes food safety; responding to the Food Safety Modernization Act (FSMA) will become important. Like medical products, individual item management will be required. Lifestyles seeking safety and reassurance will remain unchanged for years to come. Safety and reassurance should be secured throughout the life cycle of a product from obtaining the material to recycling. Future lifestyles will demand this. Keeping contents fresh after opening soy sauce or wine, for example, is one of the main challenges for the packaging industry. This will also apply to cosmetics and other products. Packages minimizing content adhesion and enabling consuming and eating up the food have been put into practical use for container lids for sweets. In the United States, too, an up-to-date technology is proposed to prevent the food from adhering. This is a difficult theme but, in the atmosphere of reappraising the spirit of avoiding waste, will be demanded more. 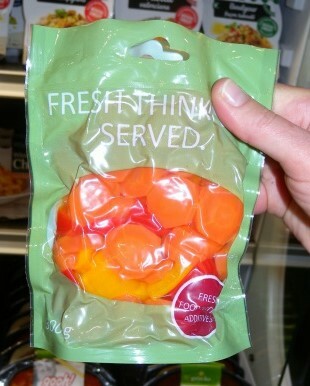 The graphic design of packages should be clear for busy consumers to be able to decide at a glance on store shelves. Since mail-order sales have been increasing as well, expression for that purpose is important to help accurate judgment of consumers at the points of purchase and use. The clarity of information on packages will be more and more important, including the text, character size, graphic design and proposals for how to use and additional data in two-dimensions. Lifestyles, against people’s will, are influenced by the trends of the times. 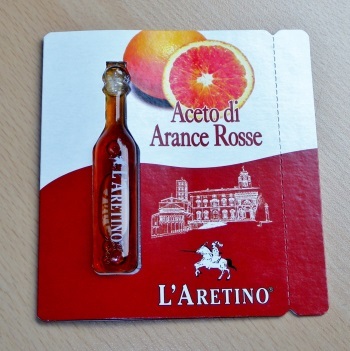 Lifestyles undergo changes with many turns and twists and create a new flow and, with this flow, packaging also changes. When a consumer is about to buy a packed food, the consumer will not select foods if the design of the package seems old and fails to keep pace with lifestyle changes. Today, Japanese meals are highly regarded around the world. We want to provide the world with Japanese foods in packages reminiscent of Japanese culture. Each year the shipment statistics of Japan’s packaging industry of the previous year is featured in the June issue of the monthly “Packaging Technology” published by the Japan Packaging Institute. And the information is put to widespread use in various sectors. In 2001, more than ten years ago, the JPI compiled a report giving detailed exposition on the status of packaging by packaging material. This time, in compiling another report, we attempted to survey the changes in the packaging industry of this country along with the various changes in the social and economic environment over a ten year span. The initial years of the 2000s were the time the Japanese economy began to show signs of steady growth by finally recovering from the collapse of bubble economy. Then, however, came the global recession following the economic downturn triggered by the Lehman Brothers bankruptcy in 2008. And Japan was hit by the Great East Japan Earthquake of 2011. Only after these incidents can we finally discuss Japan’s economy on a more positive note these days. This report also touches on the various developments in the respective sectors of packaging during this period. During the past ten years, the packaging industry and other related industries in this country have been grappling with “3R” (Reduce, Reuse, Recycle), of which special emphasis has been placed on Reduce. Attempts have been made at improving performance, downsizing, and addition of new functions. As a result, we now see great accomplishments in the reduction in packaging materials consumed and the prevalence of added values. The data are presented in terms of 10-year transition, 5-year transition, comparison with 2001 data, year-on-year comparison, etc. We hope that you can foresee the future trends by quantitatively and objectively grasping the past trends in shipment statistics and also paying close attention to the details of data. Also, in trying to shed light on the situations from various angles, we took care to include a broad array of data published by the related ministries, agencies, and organizations. We express our heartfelt appreciation to these public organizations for their generous cooperation. And, due to the nature of these listings, we must ask the readers of this report to forgive some inconsistency they might find in these data as to the choice of data sources, the scope of summation, and the like. The shipment value (sales) kept declining from 1992 after the burst of bubble economy till 2003 before it turned upward in 2004 and kept rising for some time. However, after the Lehman Brothers bankruptcy in 2008, the shipment value underwent a steep decline and has remained sluggish all these years. In the aftermath of the Great East Japan Earthquake in 2011 and changes in economic conditions, the shipment value dropped slightly in 2012, but recovered to the pre-disaster level in 2013 (see Fig. 1). So the packaging industry is placing its hope on the data of next year (2015) which may reflect the effect of Abenomics. Note that the shipment value of packaging materials and containers amounts to over 90% of the total shipment value of the packaging industry and it has shown similar tendencies over the past decade (see Fig. 2). The production value of the packaging machinery industry dropped to 86% of the 2007 peak after the bankruptcy of Lehman Brothers, but has steadily recovered ever since to 93% of the peak in 2013. It is about the same level at 92%, which is the current status of the packaging industry as a whole (see Fig. 4). In 2013, the shipping volume of packaging materials and containers increased 1.7% over the previous year, whereas the production volume of packaging machinery decreased 0.6% from the previous year. The shipping volume, too, has followed similar trends to those in the shipment value during the period of 2004 through 2013. It showed some signs of recovery after ten years from the collapse of bubble economy, but suffered setbacks from the economic downturn after the Lehman Brothers bankruptcy and the Great East Japan Earthquake of 2011. And so far the shipping volume has failed to achieve a full recovery (see Fig. 3). It should be noted, however, that the reduction in shipping volume has partly been caused by the industry-wide efforts at reducing the use of packaging materials. There is a complex array of factors affecting the growth of the packaging industry as a whole. The basic factor is the vibrancy of national economy, especially the state of commodity distribution and commercial distribution connecting production and demand. Other major factors may include the demographic change and the changes in lifestyle, particularly those in eating habits. Also, the condition of export and import trade may significantly affect the packaging industry. To show the status quo of the industry, the ratio of its output to GDP (Gross Domestic Product) is often used as an overall parameter. Therefore the following statistics include data on the ratio of the production and shipment values to GDP in the past 10 years. Note that the GDPs shown here are the second preliminary figures published by the Cabinet Office in March 2014. During these 10 years, the ratio of the packaging industry shipment value to nominal GDP remained around 1.3%, whereas that to real GDP remained unchanged or was on a slightly downward trend. Since 2012, however, while the GDP showed a sign of an upward momentum, the shipment value (sales) has been sluggish at below 1.2% for two years consecutively. In order to compare the production of the packaging industry with that of the other industries in general, the data concerning packaging shown for reference below relate to the shipping volume by type of product, the shipping volume by type of producer, the industrial-production index, and the wholesale price index by product. A comparison between 2010 and 2013 shows increases in plastic materials and plastic products including those for applications other than packaging. Table 2 shows overall shipment values (sales) of packaging materials and containers from 2009 to 2013 classified into six material categories. The total shipment value of 2013 is ¥5,607.8 billion, and the ranking and the composition ratios of the types of material are as shown in Fig. 2.2.1. Table 3 shows overall shipping volumes of packaging materials and containers from 2009 to 2013 classified into six material categories. The total shipping volume of 2013 is 18,755,000 tons, and the ranking and the composition ratios of the types of material are as shown in Fig. 2.3.1. Table 4 shows overall production values (sales) and volumes of packaging machinery from 2009 to 2013 classified into types of machines. The total production value in 2013 is ¥441.4 billion, and the ranking and the composition ratios of the types of machines are as shown in Fig. 2.4.1. The production value in 2004 was ¥450.11 billion, and there has been little change ever since. As for the composition ratios, individual and inner packaging machines rose, but outer packaging and packing machines declined. Note: 1) The data of 1. Packaging & packing machines and 2. Bag-making machines represent annual (April to March) totals. 2) The volume and value data of 1. Packaging & packing machines and 2. Bag-making machines are planned values (actual values may be lower). The shipment value of paper packaging materials and containers in 2013 is ¥2, 346.5 billion, the year-on-year rate being 103.2%, whereas the shipping volume of the year is 11,713,000 tons, the year-on-year rate being 102.5% (see Table 2, and Table 3). The breakdown of the shipping volume is 76% cardboard base paper, 10% paper vessel base paper, 11% packaging paper, wrapper and bag-making base paper, and 3% other. Table 4.1.1 below shows the paper and paper board consumption (incl. cardboard paper, paper vessel paper board, newsprint paper other than packaging paper, printing paper, and hygienic paper) by country and the world total. The worldwide paper and board consumption was 401,400,000 tons (2012), registering 100.4% year-on-year. In terms of consumption by country, China ranked top, and Japan was third, following the USA. In the year-on-year growth rate, the USA, Japan, and European countries were on the decrease, but such Asian countries as China, India, Indonesia, and Thailand were on the increase. Paper Association, and the Taiwanese Paper Making Institute. Table 4.1.2.1 shows the per-capita paper consumptions in leading countries. Belgium, Austria, Germany, the USA, and Japan were the top five countries in the per-capita consumption. China, which ranked top in the production volume of paper and paper board, did not rank within 20th in per-capita consumption. Although the world average of per-capita consumption in 2012 was 57.2 kg, the per-capita consumption in Japan in that year was 4 times that level. Industry, the Korean Paper Association, and the Taiwanese Paper Making Institute. The per-capita consumption of paper and board in Japan, however, is on the decline. It is mainly due to the arrival of an information society where the use of networks such as the Internet is becoming widespread. The following table shows the production volumes and domestic shipping volumes of paper and paper board. The production volume of paper and paper board in Japan was above 30 million tons in 2008, but dropped markedly in 2009 after the Lehman Brothers bankruptcy. Since then it has remained on the level of 26 million to 27 million tons without much increase. Especially in the area of paper, the printing and communication paper in particular showed a marked reduction on account of the dwindling birth rate, the aging population, the advance of networked environment, etc. shipment for consignment production, or shipment for own use. The production volume of printing and communication paper in 2013 showed a significant drop at 0.85 compared with the 2008 level due to the influence of the networked information age. It does not show any recovery from the economic downturn after the Lehman Brothers bankruptcy in 2008. The production volume in the area of packaging in 2013 showed a slight decline but a relatively steady trend, with the ratio to the 2008 level being 0.87 for packaging paper, 0.88 for paper vessel board, and 0.96 for cardboard base paper. As for the breakdown of the total production volume of paper and paper board in 2013, cardboard accounts for 33.6%, paper vessel board 6.1% and packaging paper 3.4%. Table 4.1.4.1 shows the import and export volumes of paper and paper board (not incl. processed paper). The import volume of paper and paper board had been increasing yearly until 2012, but suffered a fall in 2013. The total import volume of paper and paper board in 2013 was 1,840,000 tons, 16.9% down from the previous year as a result of the reverse of the high yen value. The import volume of paper was 1,470,000 tons, 19.6% down from the previous year. The import of paper board was 370,000 tons, a 4.4% drop from the previous year. Whereas the import of cardboard base paper was 90,000 tons, 26.0% down from the previous year, the import volume of paper vessel board registered a two-year consecutive growth with an increase of 7.5%. The total export volume of paper and paper board in 2013 was 1,060,000 tons, 31.7% up from the previous year. The exports of paper and paper board had remained at low levels due to priority placed on the supply to the domestic market after the Great East Japan Earthquake of 2011 and record high values of the yen, but began to increase as a result of the recovery of domestic supply capacity by the disaster-affected factories and the continuing depreciation of the yen. As the destinations of export of paper and paper board, such Asian countries as China, Malaysia, and Thailand accounted for 80% of the global market. Processed paper is imported in addition to the imported paper and paper board. Table 4.1.4.2 shows the imports of PE-coated paper (milk carton), which is a representative processed paper imported to Japan. Table 4.1.5 shows the shipping volumes by category of heavy-duty kraft paper bags as published by the Japan Kraft Paper Sack Association. The production volume of double-faced cardboard, whose composition ratio had been increasing yearly, accounted for 89.2% of the total cardboard production in Japan in 2013. On the other hand, the production of double wall cardboard had been decreasing yearly, and the composition ratio in 2013 was 9.6%. The reduction in double wall cardboard is nearly equal to the increase in double-faced cardboard. The possible cause may be the ongoing improvement in the material used in cardboard packaging such as the replacement of double wall cardboard by double-faced cardboard in some applications and the use of double-faced cardboard containing reinforced core material. The production volume of cardboard is about 13.45 billion m2. It showed a marked drop temporarily in 2009, but recovered nearly to the former level in 2013. While the consumption (input to subsequent processes) has been slightly on the increase, the sheet shipment has remained substantially level. Inputs for box-making by sector of demand represent the breakdown of consumptions (input to subsequent processes). It is to be noted that about 40% of sheets as they are sold are processed into cardboard boxes, but this part is not included in the data. The cardboard products are the articles most widely used among packaging materials and containers. Their use is characterized in that (1) the cardboard is more frequently used in replacement of plastic shock absorbers or wooden frames (for electrical products and mechanical parts), (2) they are used in commercial packaging in mail order, home delivery, and the like, and (3) they are used in packaging of fruit, vegetables, and processed food. Among the inputs for box-making by sector of demand, those for the articles of food showed the greatest composition ratio at about 57% of the total. The increasing use of cardboard for mail order, home delivery, and move was notable, although the composition ratio was only 4%. Table 4.1.7.1 shows the recovery amount and recovery rate of used paper in leading countries (2010 and 2011). Table 4.1.7.2 shows the recovery amount and recovery rate of used paper in Japan (2010 and 2011), and Table 4.1.7.3 the utilization rate of used paper in Japan. a)	Used paper recovery amount by country The top five countries in the recovery amount of used paper are the USA, China, Japan, Germany, and South Korea. The total of used paper recovery amount in the world is 228,126,000 tons (2011). The composition ratios of the countries are 21% the USA, 19% China, 9% Japan, 7% Germany, and 4% South Korea, and the USA and China together account for 40% of the total. Note that the recovery rates of South Korea (98%), Japan (78%), and Germany (77%) exceed those of the USA (66%) and China (45%). The consumption of paper and paper board in Japan had been about 30 million tons until 2008. It dropped after the Lehman Brothers bankruptcy and has so far failed to make a recovery. On the other hand, the recovery rate of used paper has kept increasing. Japan has advanced used paper recovery systems including separate collection by municipalities, group recovery by neighborhood communities, and storefront recovery, which shore up the rising recovery rate. Japan is therefore an advanced recycling country with its used paper utilization rate and recovery rate ranking among the highest in the world. Table 4.1.7.3 shows the utilization rate of used paper in Japan. In the table, the values in the “paper” column represent the rates at which used paper is used in paper production, whereas the values in the “paper board” column represent the rates at which used paper is used in paper board production. The values in the “total” column represent the rates at which used paper is used in the paper and paper board production. The used paper utilization rate for paper and board as a whole has been increasing gradually. The used paper utilization rate for the total of paper and paper board production in 2012 was 63.7%, up 0.7 points from 63% of 2011. The utilization rate of used paper for paper board production in 2012 was 92.9%, but that for paper production remained at 41%. Since the main applications of used paper for paper production are printing and communication paper and newsprint paper, only a limited kind of used paper, namely, high-quality used paper (newspaper, office paper, some magazines, etc.) must be selected. On the other hand, magazines, cardboard, crude paper, Japanese vellum, and the like can be used as used paper for paper board production, thus making the utilization rate high. For further improvement in used paper utilization rate, it is considered necessary to increase the recovery amount of high-quality used paper by employing better recovery methods. Fig. 4.1.7.1 is a graph showing a relationship between used paper recovery rate and used paper utilization rate in Japan. The used paper recovery rate and the used paper utilization rate had followed similar growth trajectories until 2000, but after that the recovery rate rose at faster rates than the utilization rate. The surplus of used paper for paper and board production has been diverted for exports. In 2000, the exports of used paper overtook the imports and kept rising since then. The exports in 2013 were 4,889,715 tons, which exceeded by a large margin the imports at 30,076 tons. Table 4.1.8 shows the recovery rate of cardboard (corrugated fiberboard) in Japan. The cardboard items exiting factories and distribution outlets are recovered directly, and those discharged from homes are gathered in resource recovery together with newspapers and magazines. 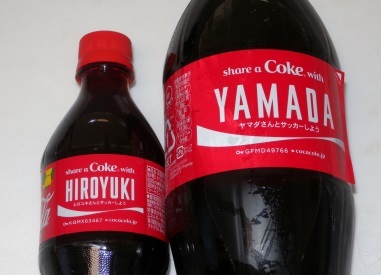 As a result, the recovery rate exceeds the consumption in Japan. A main reason for the recovery rate in excess of 100% is because the data includes the recovery of the cardboard boxes for imported products. The shipping volume of plastic products to satisfy the demand for packaging materials and containers in 2013 was about 3,510,000 tons, and the shipment value was estimated at ¥1,663.9 billion. Their year-on-year data were 101.3%, an increase of 45,000 tons, and 102.3%, an increase of ¥37.9 billion, respectively. Of the total shipping volume of plastic packaging materials and containers in 2013, the film and sheet accounted for 48.8%, the blow-molded container 23.4%, the injection-molded container 9.7%, the laminated soft product 8.8%, the foamed product 6.7%, the extrusion-molded product 1.6%, and the oriented flat yarn 1.1%. The blow-molded container increased 0.8% from 22.6% of the previous year. Table 4.2.2.1 shows the shipment value (sales) and shipping volume of plastic products. The shipping volume of plastic packaging materials and containers in 2013, which is about 3,510,000 tons, accounts for 33% (0% increase year-on-year) of the production volume of 10,580,000 tons (10,520,000 tons in 2012) of plastic materials (thermoplastic resins) (source: Japan Plastics Industry Federation Monthly Report on Economy and Industry Statistics). Table 4.2.1 shows the production volume of plastic materials and the shipping volume of plastic packaging materials and containers. For over the past dozen years, the ratio of plastic packaging materials and containers to the plastic materials (thermoplastic resins) has been stable at around 30%. According to a survey report by the Japan Plastics Industry Federation, the export of plastic materials decreased 0.6% from the previous year, and that of plastic products 1.0% from the previous year. However, the import of plastic materials increased 0.5% over the previous year, and that of plastic products 2.6% over the previous year. Table 4.2.2.1 and Table 4.2.2.2 show the excerpts from related data of detailed statistics on packaging in the report. Also, since the original materials used for packaging materials are mostly thermoplastic resins, the data presented here is that of thermoplastic resins only. Note that the imported boards, sheets, hot-stamped films, tapes, and the like, which are treated as plastic products, are excluded from our data because they are processed into packaging materials as part of the domestic production and shipping volume. Table 4.2.3.1 shows the statistics provided by the Japan Polyolefin Film Industry Trade Association on the shipments of polyolefin film from 2008 to 2013. In 2013, the total of LDPE film, HDPE film, and IPP film shipments was 522,000 tons, down to 99.6% of the previous year. It represented a slight declining tendency having continued since 2008, although it was not a conspicuous plunge as in 2009. In contrast to this, as shown in Table 4.2.3.2, the imports of ethylene polymer bags were 94 times the exports (505,125 tons / 5,390 tons) in 2011 and 97 times the exports (521,783 tons / 5,376 tons) in 2012. While the imports have been increasing since 1999, the exports had been on the increase from 1999 to 2007, but have been on a downward trend after the peak in 2007. Table 4.2.4 shows the statistics provided by the Japan Polypropylene Film Industry Association on the shipments of polypropylene film by sector of demand. In 2013, the total shipment of OPP (stretched) film was 226,000 tons, an increase of 2.1% from the previous year. By sector of demand, the demand for OPP film for food applications accounted for 76% of the total and showed an increase of 3.1% over the previous year. The export also increased 4.7% from the previous year. The other sectors, however, showed negative growths. The shipment of CPP (non-stretched) film increased 3.1% over the previous year to 155,000 tons. By sector of demand, the demand for CPP film for food applications accounted for 79% of the total. And all the demand sectors showed increases over the previous year. Table 4.2.5 shows the shipments of polystyrene for domestic demands according to a survey by the Japan Petrochemical Industry Association. In 2012, the composition ratio of packaging use was on the increase at 48.1%, but the year-on-year data represented a decrease of 1.6%, evidencing a declining trend for the past several years. Table 4.2.6 shows the production and shipment volumes of blow-molded containers. The shipping volume of blow-molded containers as a whole had been decreasing until 2011. But since 2012 the blow-molded containers of polyethylene terephthalate (PET) forged ahead and are on the increase while those of other plastics remained stagnant. Of the metal packaging materials and containers in 2013, the shipment value (sales) was ¥944.6 billion and the shipping volume was 1,625, 000 tons, the year-on-year rates rising slightly to 100.8% and 100.6%, respectively. The shipment value has dropped gradually from ¥1,091.3 billion in 2002 to ¥944.6 billion in 2013, representing a reduction to 87% during the ten-year period. The ratios of steel and aluminum have remained about the same at 42 to 46%. Their shipping volumes have also been on the decrease, a drop to 75% over the ten years. It is found that this is more due to the reduction in the use of steel materials. Fig. 4.3.1.1 shows the annual consumptions of aluminum cans. In 2013, the consumption volume is 19,396 million units, and the consumption weight 303,830 tons. Both the consumption volume and weight have remained nearly constant during the period from 2004 to 2013. Table 4.3.1 shows the details of demand for beverage aluminum cans in Japan in 2012. The imports of empty cans were quite meager at 0.2% of the total. Also, the imports of filled cans, which have shown a marked increase recently, are still as low as about 4% of the total. Yet, the future trend must be watched carefully since the year-on-year rate of 130% is markedly high compared with others. Table 4.3.2 hows the production volumes of steel beverage cans and food cans. From 2002 to 2012, the beverage cans had reduced yearly from 15,824 million cans to 11,204 million cans, a drop to 71%, whereas the food cans had reduced yearly from 1,317 million cans to 898 million cans, a drop to 68%. The annual consumption of glass products in 2013 was such that the shipment value (sales) was ¥124.7 billion and the shipping volume 1,262,000 tons, the year-on-year rates decreasing to 98.9% and 98.1%, respectively. The shipment value (see Fig. 4.4.1) has dropped gradually from ¥166.2 billion in 2002 to ¥124.7 billion in 2013, representing a reduction to 75% during the ten-year period. The shipping volume (see Fig. 4.4.2) has also been on the decrease, a drop to 75% from 1,685,000 tons to 1,262,000 tons over the ten years. The cosmetics bottles, with their shipping volume being 1% and the shipment value being 6% of the total, are items featuring high added values. The total annual production of pallets in Japan (estimated by the Japan Pallet Association) in 2013 was 63.3million units, down to 94.8% of the previous year. Classified by the type of material used, four types, namely, wood pallets, plastic pallets, sheet and paper pallets (fiberboard, cardboard), and metal pallets (steel, aluminum), were mainstream, and their composite materials were also in use. Regarding the composition ratios of different types of pallets, the production of wood pallets was the highest at 65.1%, but the ratio dropped three years consecutively since 2011. The production of plastic pallets followed this at 17.4%, and all the others showed the ratios of slightly above 3%. Of metal pallets, although there has been a tendency to avoid aluminum pallets because of their high prices, aluminum pallets are gaining a growing recognition because of their lightweight and corrosion resistance (long service life and environment-friendly), hygienic property (GMP superiority), and reusability and recyclability as with plastic pallets. In recent years, the importance of quality and hygiene management has been stressed in the production and commodity distribution processes of wide areas covering food, drugs and medicines, cosmetics, and other industrial products. For example, GMP has been introduced to the pharmaceutical industry, and HACCP (Hazard Analysis and Critical Control Points) has been introduced to the food industry after the enactment of the Product Liability Act. In addition to these, ISO certification as the global standard of quality has been incorporated into the production processes, thus establishing standardized quality and hygiene management in this country. However, in order to assure the company-wide quality and hygiene management with willing participation by all the staff and workers, the quality and hygiene management systems must also be structured for such entrance processes as procurement of materials and parts for production and for such exit processes as shipment and distribution of products. In this sense, the importance of transportation hygiene management is already recognized, and we see the widening use of rental pallets complete with cleaning service of pallets and containers. As shown in Table 4.5.2, the total of rental pallets has been increasing yearly, chalking up a record-high 20,090,000 units in 2013, up about 60% over the 12,520,000 units in 2011.